Yesterday I crossed over 1000 blog posts. Sometime in the next month I will (hopefully) cross 100K subscribers. It has been a long journey and with many twists and turns. My original intention was to “become an expert” on online communities – hence the URL. Sometime over the next few years, my focus changed to be more about technology in general, building a thought leadership profile, talking about entrepreneurship and finally about investing and startups. On a good day, my blog gets 24% open rate from my subscribers, and most days less. On average 40% of the subscribers are in India and 34% are from the US. I did some work with full contact API data and found that about 60% of subscribers have “founder” in their title on LinkedIn. There have been many folks who have been inspiring and helped me along when I was not exactly sure why I was blogging or for whom. There have been a few role models who I consider the best in the business and are people I think have a day job, and still have built a strong brand around their work. They have been doing it consistently for years, so I dont consider them “flash in the pan” type overnight successes. I wanted to call out 6 of them who I have been reading and trying to emulate, and if you are into blogs or reading online I think you might know them all. I dont tend to follow a lot of publications and media blogs like TechCrunch but individual bloggers. Horace Dediu of Asymco: If there was one person who writes with more authority and is very data driven, I’d say its Horace. His graphs and charts are worth putting on a picture frame at times. I am a huge fan. Ben Thompson of Stratechery. I have been following Ben only for the last year and he is very insightful, I wish I had the ability to see things around the corner like he did. Jean-Louis Gassee of Monday Note. I first met Jean-Louis about 15 years ago, after he left Apple. He is possibly one of the most authoritative voices on Apple, more than any of the others who are “insiders” or into Mac media culture. Neil Patel of Quick Sprout. Another long time writer and essayist, his posts are very actionable, which I admire. Few people can push you to do something immediately about something the way Neil’s writing can. Mark Suster of Both Sides of the Table: Mark’s pretty authentic. There are 2-3 of his posts that I ready every month – Lines not dots, is still my most recommended piece to new entrepreneurs. Tomasz Tunguz of Tom Tunguz. Relatively new on my radar, Tomasz writes very well researched pieces and is quite possibly an expert in the SaaS space by sheer ability to write so much after a lot of hard work researching the topic. If you look at the highlighted / bold words – data driven, insightful, authoritative, actionable, authentic and well researched are what I aim for. I dont end up doing that with every post, but that’s my goal. Even without meeting me, these folks have been mentoring me with their writing. This is my thanks to them. I wrote about how the cloud migration represents a large opportunity for Systems Integrators such as Accenture and Infosys, among others. Many customers are moving their existing applications to the cloud and using SI’s to enable that migration. This is largely being driven by lowering the cost of infrastructure for their existing applications. The other big opportunity that I am starting to see for systems integration companies is the development and introduction of internal employee facing applications, which so far has been only been developed by pure play SaaS companies. All applications built by a company fall into two categories – those that are used by employees and those that are used by customers / partners / suppliers etc. The customer facing applications that are “business critical” and revenue producing are the ones that companies are starting to build themselves. The ones that are internal, employee used are the ones they are buying from SaaS vendors. If they were to build applications in-house they need to hire people, and hiring developers for any company right now is very tough. That might change if a lot of coding schools end up producing more developers, but you can never be too rich, too thin or have too many good developers. Many of the internal application purchases are increasingly being bought directly by the business team instead of asking IT to procure. Thanks to cloud and SaaS, it no longer takes 3-6-12 months to buy, install, customize and deploy a solution, so business teams with the need (HR, Sales, Marketing, etc.) are directly buying software (usually that’s being done by someone who needs it, not by the head of the business unit) that’s needed by employees to be productive. Thanks to the lower cost and subscription pricing models it is cheaper to buy than to build. Many companies are also realizing that internal applications are no longer “the competitive edge” that they thought it was in the 80’s, and 90’s. So, where is the opportunity? Although many businesses are buying these applications via a SaaS model, SI’s are usually the first to know about the need as they scan the market for potential partnerships and vendors. They also have a clear idea of business needs for these internal applications. I am surprised more system integrators are not offering products and services they have built for one customer “as a service” to others. Currently if a customer needs an internal application – they put them into 3 buckets – a) those for individual use, b) those that are departmental and c) those that are to be used by an entire organization or across multiple organizations. The ones that are for individual use (e.g: SEO optimization software) are usually purchased by the person with peer reviews and feedback. The apps that are departmental (e.g. Collaboration software) involved one early adopter who gets 2-3 folks in the team to use them together and that spreads virally among others. Finally the ones that are enterprise-wide, or multi-department or department-wide in usage (e.g. HR software, Email, etc.) are the only ones that go through the RFP and purchase process. These also have many customization requirements and fall into two categories themselves – 1) those that are standard off the shelf and 2) those that are custom and specific to a company / industry, etc. 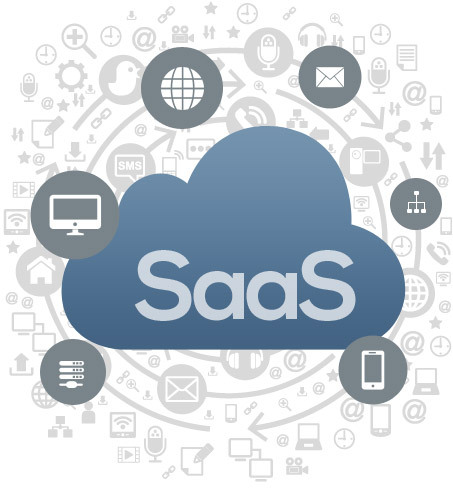 The off the shelf products can be purchased from SaaS vendors, but I think the opportunity for the systems integrations to turn their businesses from consulting and services to Software as a Services is in the custom applications – being developed as a subscription style offering instead of consulting and billable hours. Yesterday I had the chance to talk to 2 startups. One has been around for 2 years and has raised $2 Million in seed funding and is in the B2B SaaS (Marketing) space. The other is older, has raised a series B and has over 47 people in their company. Neither of them have a single person in “IT”. They both have over 40+ applications they use and everyone of their employees is using notebooks, phones, etc., but they dont have a central IT team. 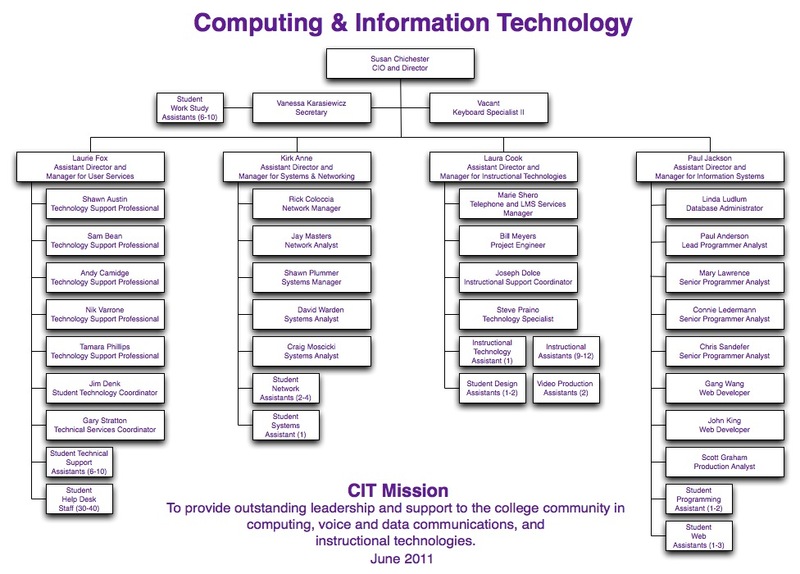 I asked the CEO’s at what point do they see themselves getting an IT team and the answer from both of them was “Why do we need an IT team”? That reminded me of Nichoas Carr’s piece, 12 years ago, in which he claims IT does not matter. He was subjected to a lot of ridicule many year’s ago, but he’s proving to be right. I started to read about what all IT does actually in any company. You can break it down into 5 main priorities. Support the business with computing – notebooks, devices, etc. Turns out most new startups, (which will grow into larger ones later), have mostly a BYOD policy or let their employees choose their own machines, which focuses on the support, maintenance and upgrade of the machines to the employee. So, that’s mostly not needed. Provide the business teams with internal applications (Build, Buy or Outsource)- Email, Collaboration, HR systems, ERP, etc. Most new companies are buying SaaS products and are letting the business teams (HR, Sales, Engineering, etc.) make their own decisions on which applications to buy. Build, buy or outsource external customer / partner facing applications – These are also being moved from IT to the business teams. They directly engage with partners, agencies or buy off the shelf SaaS applications, bypassing IT to directly buy to their requirements. In fact over the last 10 years, according to Gartner, 50% of IT spend on applications is being managed directly by the business teams, bypassing IT. That’s in the large companies. In the small companies, it is 100%. Supporting, managing and assisting internal users via a help desk on problems they have with IT systems. Most users are bringing their own devices and building their own applications, so the help desk is largely eliminated. Operationally support the applications built with DBA’s, system administrators, operations managers, etc. With the rise of DevOps and the cloud, all of these external facing, customer applications, which are developed internally are being deployed, managed and supported by the developers who built the applications in the first place. The only remaining portions are vendor management (if there are many suppliers to IT) or outsource partner management, which is starting to get managed by the business teams. While, many of these startups are saying they dont have an IT team, what’s really going on is that many of the functional elements that IT did before are being given back to the business teams. The two entrepreneurs who I spoke with foresee a day when they might need a person to help them with integrating their different “apps” which the teams bought, but that’s much later, and a highly specialized role. 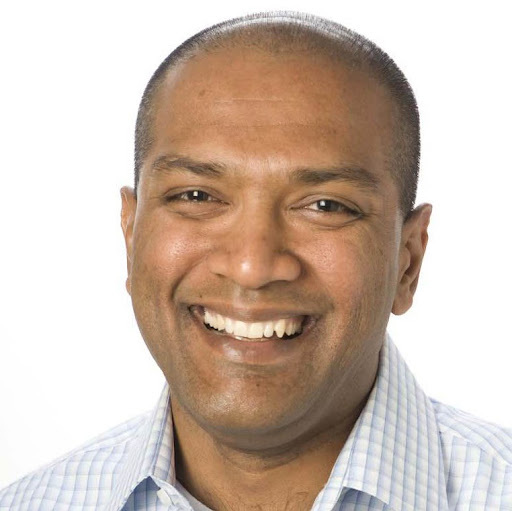 Maybe in 20 years only 10% of large companies will have an IT org, and that’s when they have multiple locations, need to make sure all the offices have connectivity to their VPN and need an intranet (which can also #SaaS), but that’s going to be rare. After you decide which startup to join if you are considering switching jobs, one of the key questions becomes how to negotiate a package. I get a lot of questions on % of stock ownership, vesting schedule, preferred vs. common stock etc. I am not a qualified lawyer, so take this as pointers and suggestions not as advice. Depending on the stage of the startup you are considering, the “complete pay package” may be skewed more towards cash or more towards stock. Most startup founders have realized that to hire great talent, there is not just one thing you need any more. There is a need for meaningful work, great pay and benefits and an awesome culture. I am going to skim over culture, and meaningful work for this post and assume you have figured out a company that offers both, but now need to negotiate your pay package. Most startups are not going to offer great benefits that bigger companies offer, so you are going to work with a fewer set of variables such as pay and stock options. First, the pay. 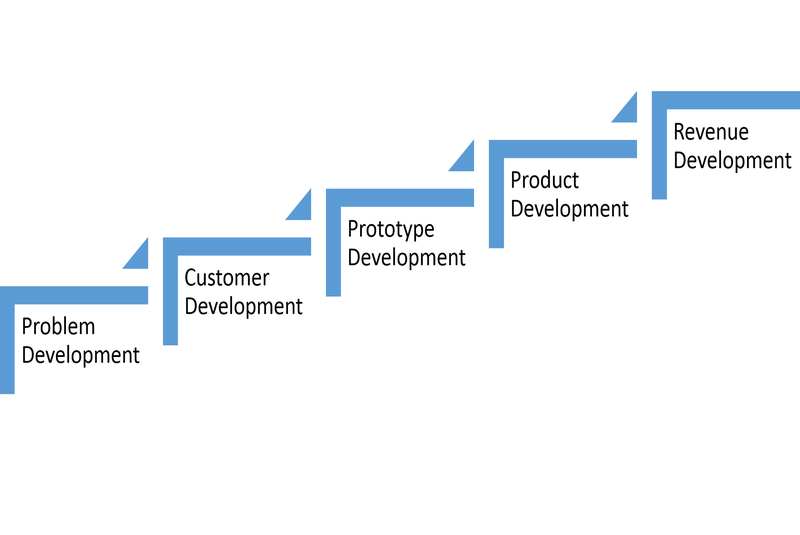 There are 3 stages that I am going to consider at startups. First, the pre-seed or seed round, second, post some seed round, before the series A and third, post series A. In almost all of these cases, I have seen that good startups will end up offering a lower base and salary (80% of the chances are it will be much lower than your current pay) but “try to make it up with stock options”. In many startups, salaries tend to be a fixed range with little room to negotiate. If you are making a lot of money at a larger company, expect to take a cut in pay. If you are working at another startup, expect to be marginally in the same range. There are exceptions for extremely well funded companies and the post series A stage, but that’s rare. There are fewer than 20 companies in India and about 100 in the Silicon Valley who can offer salaries that match Google or Facebook, Microsoft or Accenture. There are 3 important elements to the stock option package – The number of shares, the exercise price and the vesting schedule. The secondary negotiable elements are the type of shares – common vs. preferred, change of control provisions for early vesting and early exercise to save on taxes. If your startup is at the pre-seed / seed stage, and you are fewer than 20 employees, you can ask for the total outstanding shares of the company, so you can determine the % ownership. A senior executive (VP Engineering, VP Marketing) can expect in the 1-7% range and folks more junior can expect 0.1% to 1%. This is likely the only element you can negotiate in most startups. If you are looking for unreasonable percentage ownership relative to contribution, expect to get some push back. The earlier you are at the startup, expect a larger % relative to later stages. 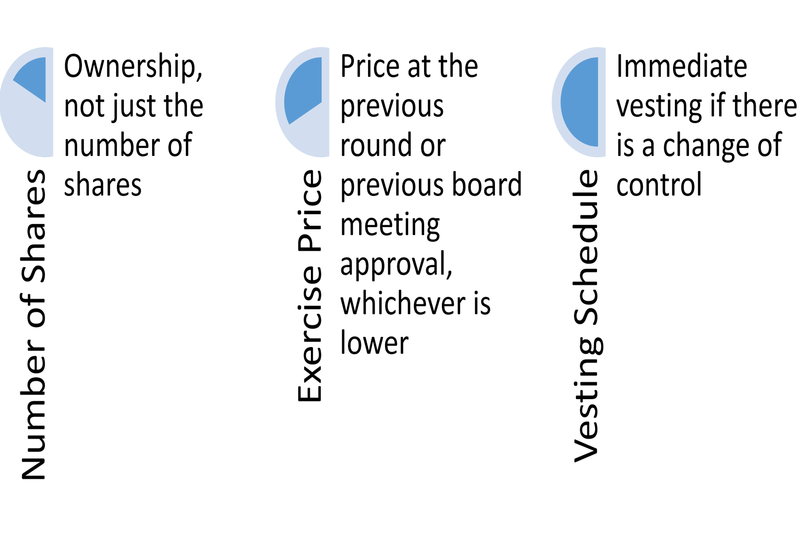 The price of your stock is determined either at the previous round or in some cases at the board meeting (exceptional cases) when an inside round has been completed. After the backdating stock option scandal of the 2005’s no CEO will help their new employees get stock at a lower price, so there’s not much to negotiate here, other than to know the price. Finally the vesting schedule tends to follow a pretty standard pattern – usually 4 years, with a 1 year cliff. Meaning, after one year at the company, your shares will vest monthly. What you want to learn about is the option to buy your shares and if there are “claw-back provisions” if you leave before an exit. Most employees dont stay until the exit of the company (or rarely do) and if there are claw-back provisions, you want to be aware of those. The secondary considerations are important as well. If your contract can specify that your shares will fully vest in the event of a change of control (meaning your startup gets bought) you should seek that. If your company offers early exercise I’d ask for that option. You might not want to exercise early (since you cant tell if your company will do well or go bust), but it is a good option to know about and negotiate. Finally, most employees are usually given common stock. You want to know if the founders have as well, or have they, like other investors for example, been given preferred stock if that exists and what the benefits associated with preferred stock (in terms of what the liquidation preferences are). A typical week for me is about 15-20 introductions to entrepreneurs and VC’s. I love that part of the job, in fact. If I could do more, with less time, I would any day, but I am getting more judicious lately. There are 3 primary reasons why I am slowing down my “warm” introductions. First, even though I know both the parties well enough to make the introduction, turns out many things change in 3-5 months that I am not on top of. One of my friends at a VC firm, decided to focus on B2C later stage instead of B2B. After 2 introductions, which I made to entrepreneurs, I found that out and also found out that he was “forwarding” my emails to his colleague. What I thought was “helping” was actually creating more work (useless and unnecessary) for him. Similarly, an angel investor wanted an introduction to an entrepreneur who was looking to raise money a few months ago. Turns out by the time I made the intro, the entrepreneur had changed roles to be the product guy, got a new CEO and also had finished raising money. Again, creating more work for him was not my goal but I ended up doing just that. Second, in many cases the entrepreneur or the investor is not a good fit at all. Take a case this week. A very smart investor is a hugely sought after lady in my network. Not a week goes by, when I am asked to make an intro to her. I was asked this week by a good friend and entrepreneur to make an introduction to her. I like the team, so I was willing to help. Turns out, the investor had already looked at the company and decided to not engage because she has a competitive deal in the space. Now, I had obligated her to find a way to “help” my entrepreneur friend in some way. That’s negative brownie points for me, even though I wanted to actually help them both. Finally, there is a power dynamic in play with most situations. The “requester” of the introduction and the “recipient” are not sure in most cases who will actually benefit. Neither am I am very clear about who needs who more. In most cases, when entrepreneurs ask for an intro to an investor it is clear, but in many cases when I have a “hot” entrepreneur in my network, it is not unusual to have 3-4 investors seek my help for a warm introduction. While making introductions is a critical part of the role that I play, it is becoming clear that the work that it generates for me is becoming onerous. 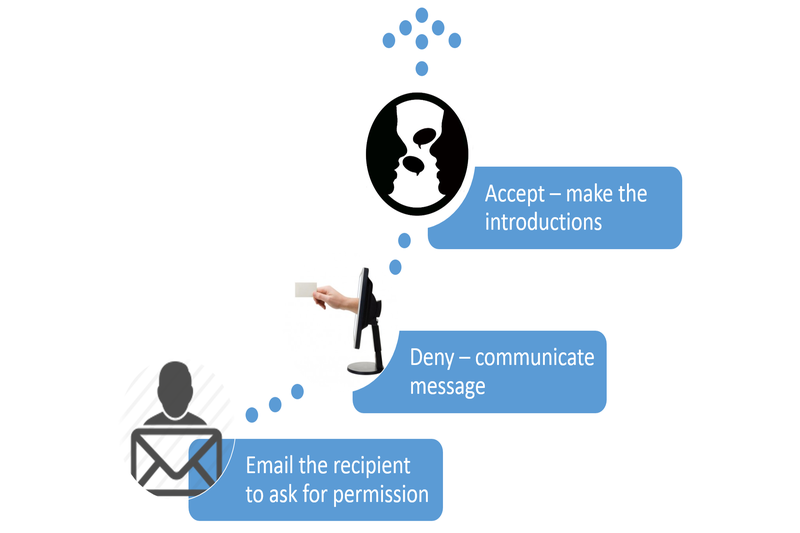 The best approach is to email the person who is the recipient of the introduction if they’d like the introduction, then wait for their response and then respond back to the requester of their response. So one email introduction now becomes at least 3 if not more in some cases. Multiply that by 15 a week and I am spending close to an hour making introductions. There has to be a better way. What do you suggest? I like the connecting and the introductions, but the work involved in doing this is getting to be too much. In the last 3 years at Microsoft Ventures, 7 teams have been “acqui-hired”. 2 were from India, 5 in the US. I had a chance to be up close and see the action, the challenges, the frustration, the joy and the sigh of relief that the entrepreneurs face with these deals. Acqui-hires fall into 2 buckets – those that save face and those that are incrementally progressive. While many of the acqui-hires seem like a face-saving opportunity for the founders, they are pretty traumatic for the employees and almost always a poor deal for the angel investors, with exceptions. The incrementally-progressive ones land the early employees great jobs in the new entity, provide a small return for the investors and allow the founders to get a small win under their belt. I think about acqui-hires with the focus on the 3 main constituents – the early employees, the advisers and investors and finally the founders. You could debate who comes first and who should be considered later, so this is only one model for thinking about this. 1. Return on Risk (ROR) for early employees. Most of your employees (if you hired great folks who were already in other great companies) have taken some form of risk to come and join your startup. Assuming that many left opportunities that were considered less risky than yours, I suspect they would expect a sufficient return on the risk taken. Most good employees, will get an offer from your acquirer, which, I think is the main reason why they are acquiring your company in the first place. The best way to give them a return on risk is to help them “true up” on their salaries they forwent. 2. Return on Time (ROT) for the first few hires. In most acqui-hires, I have seen that the acquiring company does not value the product / service that has been built, but instead likes the team. Building a new team who work well together takes time and energy, which is why they chose to acquire a team instead. A good way to help your early employees a return on their time spent (and you as well to hire, recruit and build the team) is typically via a “sign on bonus” for the entire team. 3. Return on Investment (ROI) for your early investors: If you take money, it should your responsibility to return it if you make some money. While many founders feel that angel investors fully know the risk they undertake when they invest in startups, the responsibility to return money does not go away when things dont work out. What I have found is that most founders will end up going back to being founders again and if you leave a trail of destruction or burn bridges when you do your first startup, it will get much harder to raise money for the next one. If you can help investors get as much money back or return their invested capital, then you will go a long way in terms of building credibility for your next venture. 4. Return on Equity (ROE) for advisers. Early advisers dont invest money, but typically their time. While you might feel less responsible towards them since “they did not lose money”, they did give you time, some connections, advice and mentorship, I think you should try and get some for of return for their Sweat Equity. I have seen one or two founders, taking a portion of their “earn out” to buy out the adviser shares that have been vested. You dont have to do this, but it does help. 5. Return on Opportunity (ROO) for founders. While most founders are relieved just with any exit (given that many acqui-hires were to save certain closure) I do think that founder return is important. If you do get an opportunity to get a good package of stock options and sign on bonus from your acquiring company, I’d highly recommend you negotiate for that. I have found that in 4 of the 7 deals that happened, the acquiring company would have gladly paid an extra $100K – $250K just so the various parties involved would be “made whole”. In many cases the founders just did not ask since they were desperate to get the deal done. My only suggestion to you as a founder is to ask if you can. If there is a good alignment with the acquiring company and they wish to keep all the employees for a longer time, they would gladly negotiate some more money to help make the deal more attractive to all parties. The reason for the $100K to $250K number is simple. If your team is 3-5 people, the cost of hiring a team alone will be covered at those numbers. So, in most cases, it will be a win-win for the company.